In general, 2 minutes of moderate-intensity exercise (brisk walking) is equivalent to 1 minute of vigorous-intensity exercise. But what if you don't have any dementia? Does regular exercise boost your brain power? Yes, it can! It's sad that stereotypes like "dumb jocks" exist, but, unfortunately, they do. We all went to school with classmates who seemed to excel in sports and academics simultaneously, so, the label "scholar-athlete" is more applicable than "dumb jock." The reason why some people do well in both is because exercise is as good for the brain as it is for the body! The March 26, 2007 issue of Newsweek magazine was devoted to the beneficial effects of exercise on the brain. Below, I'll summarize new research since then showing that exercise really can make you smarter! Catherine Davis, PhD, at the Medical College of Georgia, states that animal studies show that exercise increases the release of growth factors in the brain. This may stimulate the growth of both neurons and blood vessels. A leading research center studying the effects of exercise on brain structure and function is the Beckman Institute at the University of Illinois in Urbana. In one of their early studies, researchers there evaluated the effects of a 6-month aerobic exercise program on brain structure in elderly subjects ages 60-79 years. They found that substantial increases in volume occurred in the frontal lobes of the brain (Colcombe SJ, et al. 2006). Several years later, researchers at the University of Pittsburgh documented the same thing. A study of elderly subjects (average age 78 years) showed that increased amounts of physical activity were associated with greater volume in the frontal, hippocampal, and occipital lobes of the brain. These researchers identified "walking 72 blocks per week" as the optimum amount to produce these anatomical changes in the brain (Erickson KI, et al. 2010). Olga Kotelko was a famous elderly athlete. She decided to start competing in track and field at age 77!! She won medals and set age-group world records until she died at age 95. (Read a description and see photos of her in: "Exercise for Older Adults"). When she was 93, she went to the University of Illinois to let them study her brain. The white matter of her brain -- the area where neurons connect and transmit messages -- showed fewer abnormalities compared to others her age. And, her hippocampus was larger than that of her peers (Burzynska AZ, et al. 2016). Using magnetic resonance imaging (MRI), they found that the hippocampus was about 12% larger in kids who were aerobically fit, compared to their out-of-shape peers (Chaddock L, et al. 2010). It's fascinating that brain architecture can be stimulated by exercise at such an early age. But, do these anatomical changes affect how the brain functions? Abnormalities in the white matter of the brain have been linked to declines in cognitive abilities (Deary IJ, et al. 2006). And the frontal lobes are known to be involved in higher level attention and memory processing. 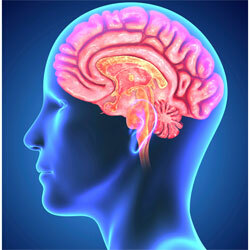 The hippocampus is also thought to be responsible for learning and memory. In fact, when the U. Illinois team evaluated Olga Kotelko, she performed better on tests of memory and mental activities than others her age. And, just like her, the children that the U. Illinois researchers studied demonstrated improved memory, too! • In the first study, students ages 10-13 years jogged around a track for 12 minutes. After 1 minute of rest, they were given a written test known as the "d2 Test of Attention." (This test involves identifying the letters "p" and "d" with dashes arranged either above or below the letter. There are 14 lines of 47 characters. Each line has to be examined in 20 seconds.) "Selective attention" scores were higher in students who exercised compared to another group who did not (Tine MT, et al. 2012). • In her 2nd study, adolescents ages 17-21 years were tested. This time, students jogged in place for 12 minutes. "Selective visual attention" was assessed 1-minute and 45-minutes later. Again, the d2 Test was used. Scores were higher after exercising at both 1 minute and at 45 minutes. Reading comprehension was also assessed in this study. It was found that the exercise session improved reading comprehension, but only in the low-income group of students (Tine M. 2014). • In this study, students ages 9-11 years participated in "FUNtervals." A single FUNterval lasted a total of 4 minutes. During those 4 minutes, students performed 20 seconds of vigorous activity, then rested for 10 seconds. This was repeated for a total of 8 cycles. The vigorous activity included squats, jumping jacks, scissor kicks, and running in place. These activities were done inside the classroom, not outdoors, or in the gym. Ten minutes after the FUNterval, students were given the "d2 Test of Attention." 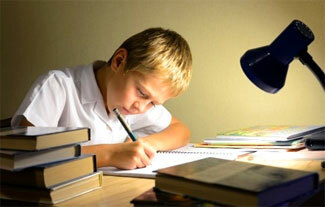 The researchers found that both boys and girls made fewer errors after the FUNtervals. Boys improved more than girls, but, boys had made more errors than girls prior to the FUNterval (Ma JK, et al. 2015). Judy Howard is a physical education teacher. She has produced exercise DVD's for kids. They have sold more than 30,000 copies and are used by more than 5000 schools in North America. Her "65 Energy Blasts" DVD is based on this concept of short bursts of exercise. So much for a single exercise session. What are the effects of regular exercise? Does "being fit" produce an even greater benefit? • In their first study, they discovered that faster times on a shuttle run were associated with better reading fluency, better reading comprehension, and better arithmetic skills (Haapala EA, et al. 2014). • In a subsequent study, they found that better "neuromuscular performance" (a combination of speed, agility, balance, flexibility, manual dexterity, and muscle strength) was also associated with better academic skills. Surprisingly, higher levels of aerobic fitness did not seem to matter (Haapala EA, et al. 2015). The University of Illinois researchers have been exploring how changes in oxygen delivery that occur during exercise impact brain function and structure. In a recent report, they state that the amount of exercise and physical activity you do matters more than a high level of aerobic fitness (Burzynska AZ, et al. 2015). In other words, "movement" seems to be a more critical detail than a high degree of fitness. Hmmm...maybe this is why Tai Chi and yoga are good for the brain! Researchers from Case Western Reserve evaluated roughly 400 elderly subjects (average age 75 years) and found that a higher level of activity during their youth predicted a lower risk for developing cognitive problems in old age (Fritsch T, et al. 2005). This research suggests that regular exercise does improve academic abilities and can maintain brain power as we age. But, also, it says that strenuous effort (ie., high enough to increase aerobic fitness) may not be necessary. That should be good news for a lot of folks! A report from the ongoing CARDIA Study revealed that measurements of verbal memory and "psychomotor speed" in adults ages 43-55 years were better in those who had higher aerobic fitness 25 years earlier (Zhu N, et al. 2014). Why would the amount of exercise you did 20-25 years ago have any bearing on your brain performance today? In general, people who exercise regularly in school continue to exercise regularly as an adult. Exercising as a teenager establishes healthy habits that last throughout the rest of your life. Or, maybe exercising as a kid builds a larger and stronger brain and these changes persist indefinitely regardless of how much exercise occurs during adulthood. Another possible explanation is that people who exercise regularly consume a healthier diet than people who don't exercise (Brodney S, et al. 2001). BRAIN POWER CAN BE IMPROVED! What if you haven't been exercising regularly? If you're not an athlete, can you improve your brain power if you then start? Researchers at the Medical College of Georgia put 171 sedentary, overweight children, ages 7-11 years, on a 13-week exercise program. One group exercised for 20 minutes per day, while another group exercised for 40 minutes per day. A third group did not exercise and served as the control group. After 13 weeks, a progressive improvement in "executive" functioning and mathematical skills was seen. "Progressive" means that, while both groups improved, the children who exercised 40 minutes per day improved more than those who exercised only 20 minutes per day (Davis CL, et al. 2011). DOES ANY OF THIS ACTUALLY TRANSLATE TO BETTER GRADES? So far, I've only summarized research showing that exercise and higher levels of athletic ability lead to more efficient "mental processing." But, does this translate to better grades in school? "Selective attention" or "selective visual attention" refers to the ability to focus on a task while ignoring distractions. Educators have determined that it is a critical component of learning. It correlates with math and reading ability independently of general intelligence (Tine MT, et al. 2012). Playing sports does improve selective visual attention. But, there's one caveat: At least a year of participation in fast-action sports is required to see a meaningful improvement. Nevertheless, the more years an athlete participates in these sports, the greater the improvement in selective visual attention (Tine MT, et al. 2012). However, it's been shown that playing video games every day for weeks at a time also improved selective visual attention (Tine MT, et al. 2012). Certainly, parents and educators don't want to hear that playing video games is the key to academic success so let's focus on exercise! • In 2007, The California Endowment reported that California schools that provided the highest-quality PE classes also demonstrated higher achievement test scores. • Researchers from the University of Tennessee assessed the fitness levels of middle schoolers and compared that to their academic scores in 4 core classes. They found that grades and standardized test scores were higher in the students who had the highest "healthy fitness" score (Coe DP, et al. 2012). • An evaluation of 5th- and 7th-graders in West Virginia revealed that the students with the highest FitnessGram scores also scored highest on the WESTEST standardized exam. These researchers stated that a student's aerobic capacity was a strong predictor of academic achievement (Wittberg RA, et al. 2012). • In 2017, researchers from Lund University in Sweden reported that boys (in Sweden) who participated in physical education classes for 3 hours per week improved their grade point average by 4.1% compared to boys who only participated for one hour per week. HOW DOES REGULAR EXERCISE BENEFIT BRAIN POWER IN ADULTS? So regular exercise is critical for optimum learning and education in kids and adolescents. But, what about adults? Lots of research shows that regular exercise can prevent, or slow, the development of dementia as we get older...I address this perspective in the Dementia review. But here, we want to know if regular exercise can improve your brain power even if you don't have any cognitive problems. It's easy to see how all 3 of these functions would be critically important for, say, an airline pilot. Also, this type of mental activity cannot be improved by repetition, so, shooting free throws or typing would not be typical examples of executive functions. It's possible that (a) other forms of exercise are more beneficial, or (b) combinations of different types of exercise are what matters. One analysis revealed exactly that: Aerobic exercise was more effective when it was combined with resistance exercise (Colcombe S, et al. 2003). Adults who exercise regularly make more money in their careers. Yes, really! Vasilios Kosteas, PhD, a professor at Cleveland State University, performed an economic analysis and concluded that engaging in regular exercise yields annual wages that are 6-10% higher: Exercising 3 times per week regularly (ie., from teenage years up to age 41) was associated with a nearly 7% increase in wages for men, and an even larger increase for women (Kosteas VD. 2012). That analysis was based on US Labor Department data (National Longitudinal Surveys of Youth 1979). Researchers in Finland did a similar analysis in their country and found that higher levels of leisure-time physical activity at ages 9, 12, and 15 years were associated with a 12-25% increase in annual earnings, though this was only seen in men, not women (Kari JT, et al. 2016). OK, EXERCISE IS GOOD, BUT WHAT TYPE AND HOW MUCH? 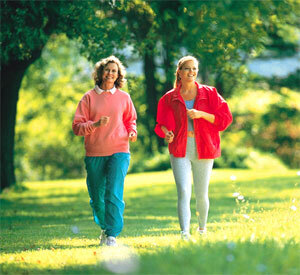 So exercise throughout your entire life is important for maintaining good memory and intellectual skills. But what type of exercise is best and how much should you do? One of my ongoing criticisms of the medical profession is that it tends to view exercise too generally. "Exercise" is diverse. Each type of exercise -- aerobic exercise, resistance exercise, agility exercise, balance exercise -- provides unique health benefits. "Elementary schools should provide 60 minutes of moderate-to-vigorous physical activity during school hours daily." What exactly does "physical activity" encompass? When kids engage in "physical activity," most likely that involves activities that fall under the aerobics and agility categories: basketball, dodge ball, soccer, playing tag, etc. Resistance exercise typically isn't what children do when they go outside and play. They also aren't "walking briskly for 30 minutes," the standard exercise recommendation for adults, and they most definitely aren't doing Tai Chi or yoga! • In one, they had men ride an exercise bike. They compared a moderate-intensity effort (60% of VO2max) with a program of multiple short bursts (4 minutes) of very high-intensity effort (90% VO2max). They found that both strategies improved brain power immediately afterwards, but the benefits of the short bursts of high-intensity exercise were sustained 30 minutes later (Tsukamoto H, et al. 2016). • In another, they compared moderate-intensity aerobic exercise to low-intensity. Subjects were tested after exercising on a stationary bicycle. In this study, they found that 20 minutes of moderate-intensity exercise produced slightly better results than low-intensity effort performed for either 20-min or 40-min. However, while the benefits were detected right after exercise ended, they were largely gone 30 minutes later (Tsukamoto H, et al. 2017). Other researchers also found that 20 minutes of moderate intensity exercise (riding a stationary bike at a cadence of 65 rpm's) improved brain performance. And, it was more effective than 10 minutes or 45 minutes of exercise. In this study, the tests of brain performance were conducted 5 minutes after exercise ended (Chang Y-K, et al. 2015). Many adults focus on resistance exercise a lot more than aerobic exercise. So, can resistance exercise boost your brain power? The answer here is: maybe. • A review of research that had been published on this topic prior to 2007 revealed that resistance exercise did improve brain power in adults, but the quality of this research was not ideal (van Uffelen JGZ, et al. 2008). • Subsequently, a study of elderly women (average age 70 yrs) participating in a resistance exercise program appeared. The women worked out once or twice per week for 12 months. Each session lasted 60 minutes: 10 minutes for warm-up, 40 minutes of resistance exercise, and 10 minutes for cool-down. After 12 months, significant improvements were seen in "selective attention" and in other tests of brain power in both the once/week group and the twice/week group. Interestingly, similar improvements weren't seen in those who participated in a 12-month program of balance and toning exercises (Liu-Ambrose T, et al. 2010). This suggests that resistance exercise -- even when done only once per week -- can be beneficial. Too Much Exercise Can Worsen Your Brain Performance! Researchers in France had 8 healthy trained men ride an exercise bike for 3 hours at a leisurely pace (60% of VO2max). Cognitive performance was assessed every 20 minutes during the 3-hr exercise session. They found that cognitive performance improved during the first hour, but declined thereafter. Depending on the type of test used, cognitive performance after 3 hours of cycling was either not improved, or, in some cases worse than before the cycling session began (Grego F, et al. 2005). So what can we make of all this research? Well, first, 20 minutes of aerobic exercise is definitely preferred over a session lasting 2 hours or more! Second, it appears that moderate-intensity effort (aerobic exercise here...) is better than low-intensity effort. And, it appears that short bursts of very high intensity effort might be even better! Unfortunately, none of these studies assess brain performance at, say, 4-8 hours after a brief exercise session. It would be helpful to know that. Researchers in the Department of Psychology at the University of Michigan report that interacting with nature has positive effects on your ability to focus. Doing so can help to refresh your attention. People who strolled through a wooded park for 50 minutes improved their performance on an attention test compared to people who walked on city streets (Berman MG, et al. 2008). • For Students: To improve your performance on semester exams, consider doing 30 jumping jacks right before you walk into the lecture hall. • At Work: Prior to giving a major business presentation, take the stairs instead of the elevator on your way to the conference room. If you have a sedentary job and feel like your brain isn't focused, try standing up and sitting down 20-30 times in a row at your desk. These brief activities will boost your heart rate and might improve your brain power short-term. Do these suggestions sound crazy? It's been reported that Billy Crystal does 100 push-ups and sit-ups prior to going on stage! Further, some work environments now utilize "standing" desks. Some even have treadmills in their workspace! In fact, there are a wide variety of pretty cool exercise devices specifically designed for the work environment. Take a look at some of them here: Office Exercise Gear. • For Parents: Keep your kids active! Buy them a soccer ball, a Frisbee, a tennis racquet...not video games. Buy Judy Howard's DVD "65 Energy Blasts." Campaign to have your local school district devote more of the school's curriculum to PE classes and sports. • For Everyone: Exercise regularly! While some research shows that doing more exercise is better than doing small amounts, it also appears that doing any amount of exercise is better than none. Endurance exercise (walking, biking, jogging, etc.) and agility exercise seems to be most helpful. But, some research shows that resistance exercise (eg., weight-lifting) can also be beneficial. So, do whatever type you prefer...or, alternate! • Get out into nature: I feel that most urban dwellers don't get out into nature often enough. In addition to getting away from the smog and congestion of a big city, the tranquility of being in a remote wilderness recharges your mental energy reserves! 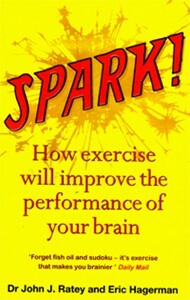 A fascinating book is "SPARK: How Exercise will Improve the Performance of Your Brain" by John J. Ratey, MD, a psychiatrist. He is an associate clinical professor at Harvard and maintains a clinical practice in Cambridge, MA. Motivating Kids to Exercise: Is Technology The Answer?